Plush Purples At Shop Ten 25! 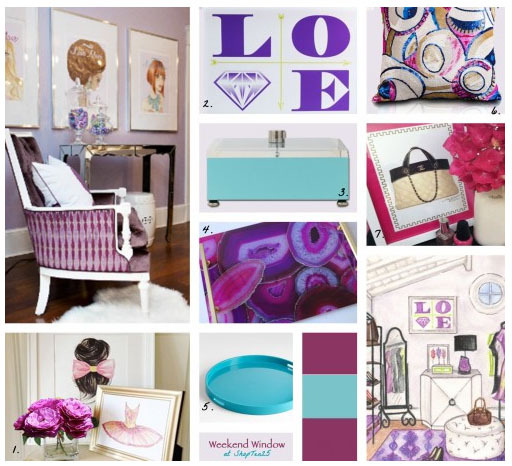 In Love With Abbe's Gorgeous Mood Board! I'm running out for the weekend when I see this Gorgeous Mood Board created by the ever so talented Designer, Abbe Fenimore, on her Weekend Window of her blog! I think it's just stunning how she put it all together! All of these items are available in her Shop! Have a great weekend everyone! I'll be on the soccer fields watching my kiddo and designing my new studio space!